Cambridgeshire Neighbourhood Watch is about local people working together to create safer, attractive and friendly places to live. Additionally creating places where crime is less likely to happen and people are less likely to turn to anti-social behaviour. There is no set Programme because each group is owned and run by its community. 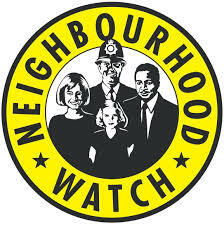 Every community has its own needs and Neighbourhood Watch groups are exceptionally well placed to meet them. After all, who knows what a community needs better than the people who live in it? Neighbourhood Watch schemes can vary in size from a few houses to a large estate. They are generally led by a volunteer co-ordinator from the local area/community who takes on the role of linking the community to the police. Therefore being more aware of local issues, sharing information and advice, local residents are able to develop closer links while reassuring and supporting vulnerable households. Anyone can reach the police quickly and easily in an emergency by dialing 999, or in a non-emergency on 101. So why have Neighbourhood Watch to liaise with them? The simple answer is that it helps you and your neighbours give your local police a much clearer sense of your current and emergent needs and local issues. Neighbourhood Watch group members know their communities well and can develop an even deeper knowledge by talking to their neighbours and finding out what matters to them. Police and other organisations can then take action based on this knowledge. The police do not run Neighbourhood Watch schemes. They do however get input and clear guidance on local needs from them. Watch members are active citizens who want to help their communities. The police need the support of active citizens to help prevent anti-social behaviour and, if it has occurred, to bring those responsible to account. If you’re interested in getting involved with a Neighbourhood Watch, the first thing to do is check whether there’s a group in your area already. You can do this by checking the national Neighbourhood and Home Watch website www.ourwatch.org.uk or contacting your area NHW representative by posting a request on the county website www.cambsnhw.org.uk. Alternatively contact your Local Policing Team via www.eCops.org.uk or the local policing pages.